Yep. That's one shredded tire. And while it is an utterly lousy thing, at least it happened driving down the street I live on last night and not on the Pennsylvania Turnpike during my morning commute in 5 degree weather - and traveling 70+ mph. But shredding the hell out of a tire a week after Christmas? When I'm dead broke? When my daughter is scheduled to take her driver's license test in this vehicle in two days? And we scheduled 6 months ago and barely got a spot so if we reschedule it could be a looooong wait and let me tell you - she ain't happy. 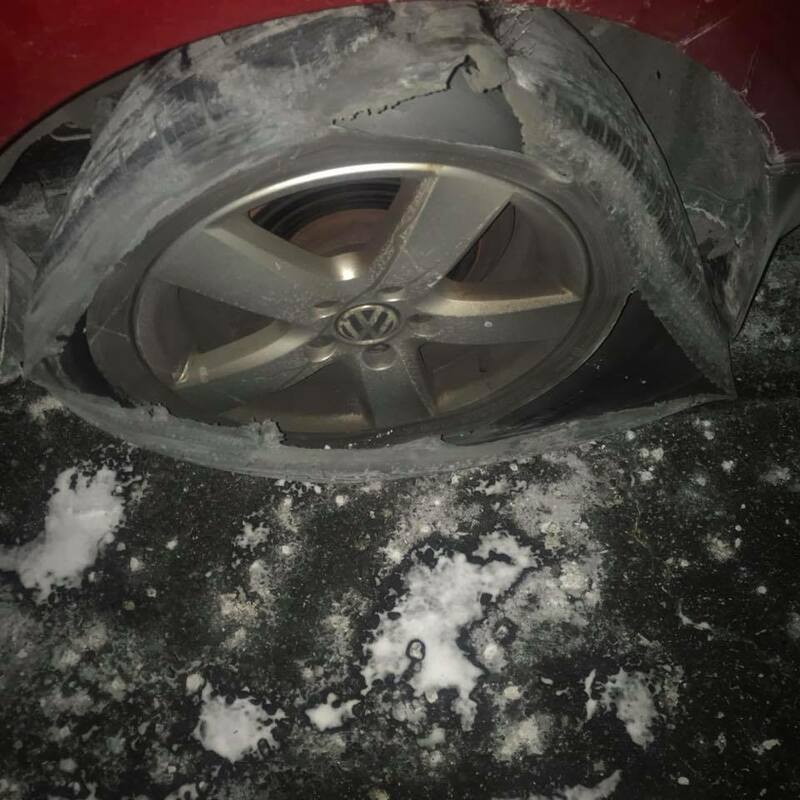 I would joke and say "Things can only go up from here" but in the grand scheme of things, a shredded tire is far from being the worst thing that could happen to me. I've learned not to ever think I'm at the bottom, believe me. Sorry for the rant. This is just really, really crappy timing. I had a post all played out in my head for today about my goals for the new year, but right now, all I can do is grumble and eat cinnamon rolls. AND I DESERVE THEM AND I'LL HIT YOU IN THE FACE IF YOU TELL ME ANY DIFFERENT. Back to normal tomorrow, I promise. But for now? You can have my cinnamon roll when you pry it from my frozen, tire-scuffed fingers.